Horwath hosting Hydro Happening Tomorrow. Former York South-Weston MP Mike Sullivan and Provincial NDP Leader, Andrea Horwath are hosting a meeting on Wednesday evening to discuss ramifications of the proposed privatization of Hydro One by the provincial government. More details about the meeting are here. 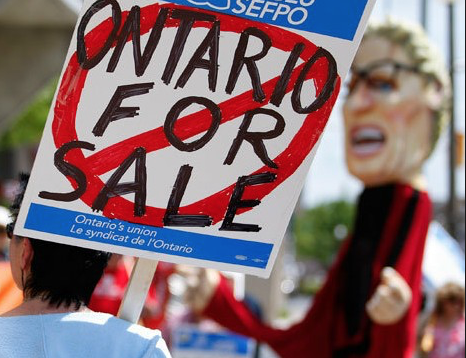 The sale of provincial assets, is seen by some as a way to ease a substantial budget deficit. This type of short-sighted action certainly didn’t enhance former Premier Mike Harris’ reputation when he leased Highway 407 to a private consortium for 99 years. It also seems to fly in the face of generally progressive policies favoured by the Wynne government. Place: Jane Street Hub, 1541 Jane Street.